Explore Harajuku in style with the cutting-edge Instax SQ10. Take photos of interesting spots with the latest Fuji hybrid instant camera. Print them out and make your own album at the end of the tour. With the Instax SQUARE SQ10, you won't have to waste film. Much like a digital camera, you can delete the photos you don't like and print out only the ones you fancy. 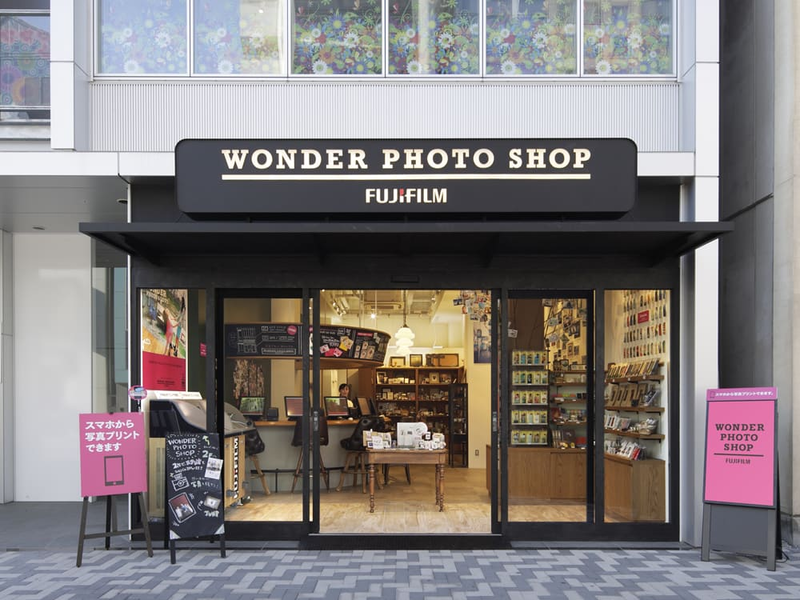 This tour not only takes you to Harajuku's quirky spots, it will also guide you in using your Instax SQUARE S10, so that you can take memorable photos with a vintage finish. At the end of the tour, you'll get to print 10 photos and place them in an album you can take home as a souvenir of your trip. Photos can also be saved in micro SD cards for an additional charge (payment required on-site). Check out the features of the Instax SQUARE S10, and learn how to operate the camera and take eye-catching photos. The route and spots to visit can be tailored according to participants' requests. Believed to be the oldest wooden building in Tokyo, Harajuku Station is both a historic spot and a youth culture hub at the same time. Check out the famed Takeshita Street, where the vibrant youth culture of Harajuku thrives. Lined with shops bursting with colors and frequented by customers, photo opportunities await in every corner. Explore the back alleys of Harajuku and find more photo opportunities while probing lesser-known areas. Whereas Harajuku is swimming in loud colors and striking images, Omotesando has a more luxurious and refined image. Snap away and enjoy exploring. Find out more about the history of Harajuku with your trusty guide and let the district's absorbing past and trendy present pique your interest. Make your way back to Wonder Photo Shop and print your photos. Make your own album and bring a unique souvenir you can show to family and friends. Children aged 12 years and below must be accompanied by a parent or a guardian. Participants must be able to climb stairs by themselves or must be accompanied by a caretaker who can assist them in climbing. Photos can be saved in micro SD cards for an additional charge (payment required on-site). The actual tour is around 90 minutes. The rest of the time will be spent on printing photos and making an album. Any cancellations made between 10:00 local time, 13 business days to 18:00 local time, 2 business days prior to the activity will be subject to a charge of 20% of the total amount. Any cancellations made between 18:00 local time, 2 business days to 12 hours prior to the activity start time will be subject to a charge of 50% of the total amount.